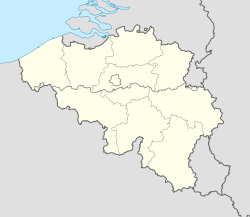 Liège (French pronunciation: ​[ljɛːʒ]; Dutch: Luik, [lœyk] ( listen); Walloon: Lidje; German: Lüttich; Laitin: Leodium; Limburgish: Luuk; Luxembourgis: Léck; til 17 September 1946 the ceety's name wis written Liége, wi the acute accent insteid o a grave accent) is a major ceety an municipality o Belgium locatit in the province o Liège, o whilk it is the economic caipital, in Wallonie, the French-speakin region o Belgium. ↑ "International Relations of the City of Porto" (PDF). 2006–2009 Municipal Directorateofthe PresidencyServices InternationalRelationsOffice. Retrieved 2009-07-10. Wikimedia Commons haes media relatit tae Liège.